I have been feeling pretty pleased with myself after a major declutter this weekend, it wasn’t easy to be so brutal about the things I needed to get rid of, I am a sucker for sentiment and when I am in that frame of mind, I can literally find sentiment in anything, especially when it relates to the boys. But I finally have room for all the new Christmas gifts. Hurrah! 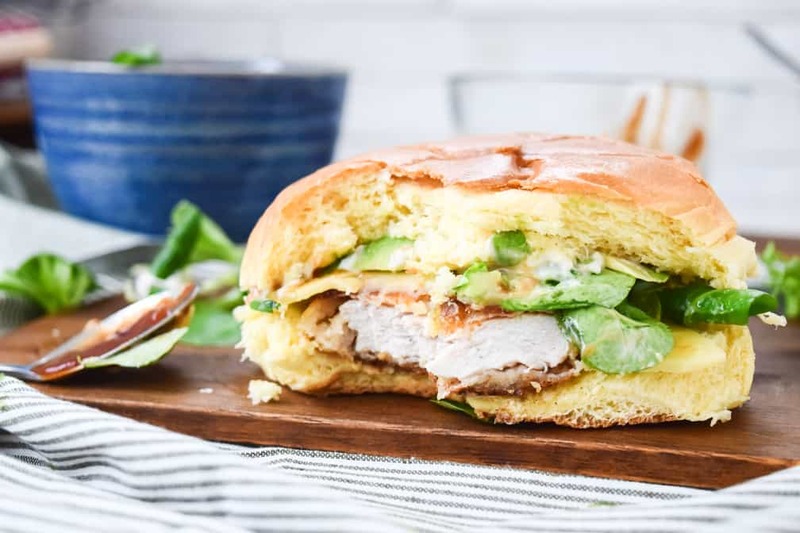 My current obsession are brioche buns, I can’t get enough of that rich, buttery goodness! 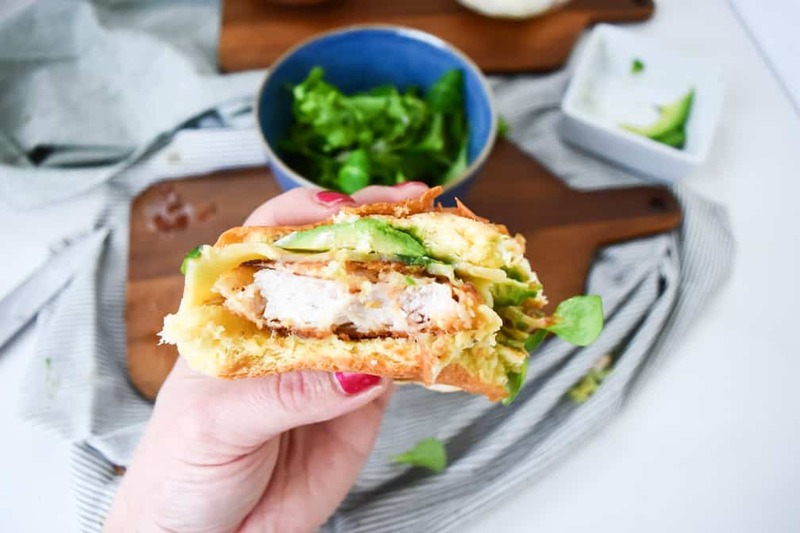 Top your burger with avocado, salad, peppery mayo and melted cheese… ahhhh, I am in burger heaven right now! Who needs a burger chain burger?! This is soooo much better! 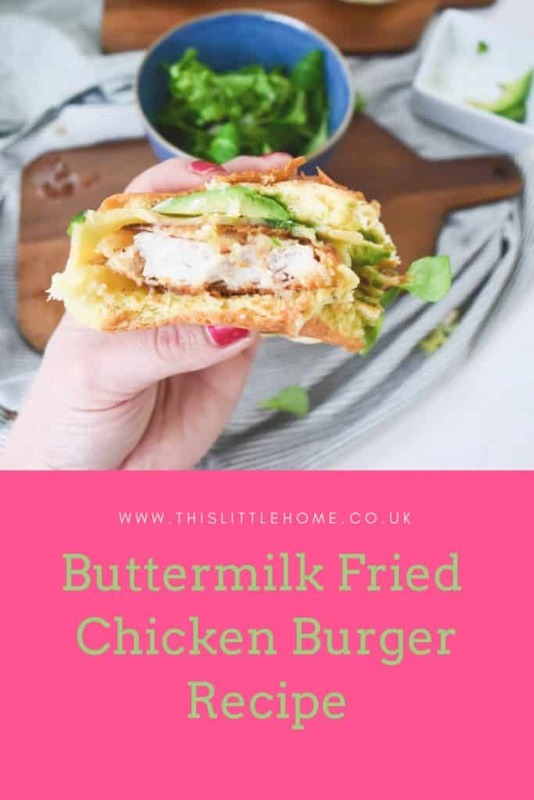 In case you’re wondering about the buttermilk chicken. Marinating the chicken in it, will tenderise the meat and give it a creamier taste. It’s worth it, I promise! You can freeze these too! So you don’t have to worry about having to plan to marinate your chicken hours ahead every time you want a burger. Just defrost and go! Mix the buttermilk, paprika and cayenne together in a bowl. Slightly flatten the chicken and place in the buttermilk, cover and leave to marinate in the fridge overnight. After marinating take the chicken from the fridge and place each one in a sandwich bag. Take a rolling pin and flatten the chicken until its thin. If you want smaller burgers, cut the breasts in half. Mix the breadcrumbs with the spices. Coat each chicken piece with the plain flour. Dip each piece in the beaten egg, covering it completely. Coat each piece with the spicy breadcrumbs. When you’re ready to cook them, heat a little oil in a frying pan and place each piece in. Fry on both sides until browned and cooked through completely. 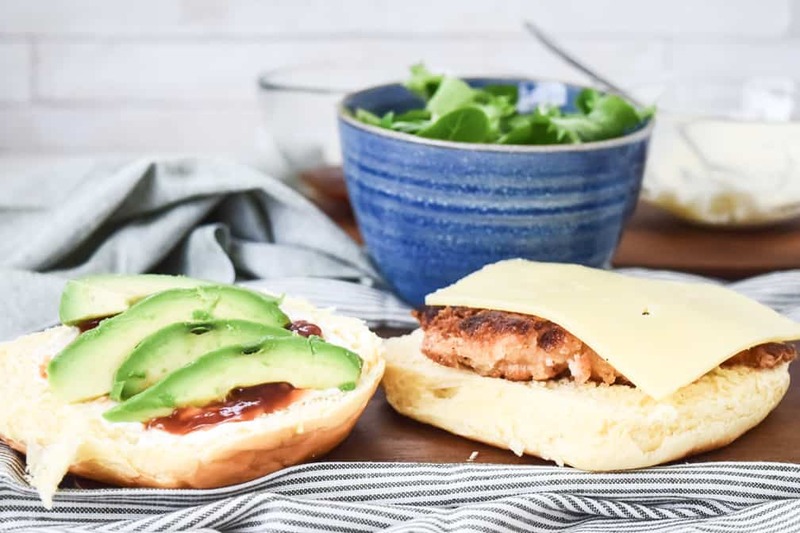 Serve in the brioche buns, with the salad and chopped avocado. been looking for a nice recipe like this to try for chicken. Thanks for sharing.